It seems like a long time since I updated the blog. You haven't missed much. Here are two things that are new since my last post. 1. My plantar faciitis in my left foot is pretty much gone but now I'm starting to have the same problem on my right. Okay. I don't exactly hate it, but I'm having a lot of trouble getting myself out the door these days. One of the best things about being a runner is imagining the possibilities on every workout. You can run inside or outside, on trails, roads, parks and tracks. Do local runs, long distance adventures and all kinds of races. Over the years I've done a lot of that, but these days I can't seemed to break out of my same old route around my neighborhood. I work at home on Fridays and, with limited time, have few options for my workout. That's actually a good thing because, in that situation, I don't feel guilty for following my quotidian neighborhood route. Still, I was not psyched to run on Friday morning but I knew I had to do it. I dressed and made my way outside only to discover a light rain was falling. Some people don't mind running in the rain but I'm not one of them. I headed back to the house and changed my running shoes for my Kinvaras that I use only on the treadmill. 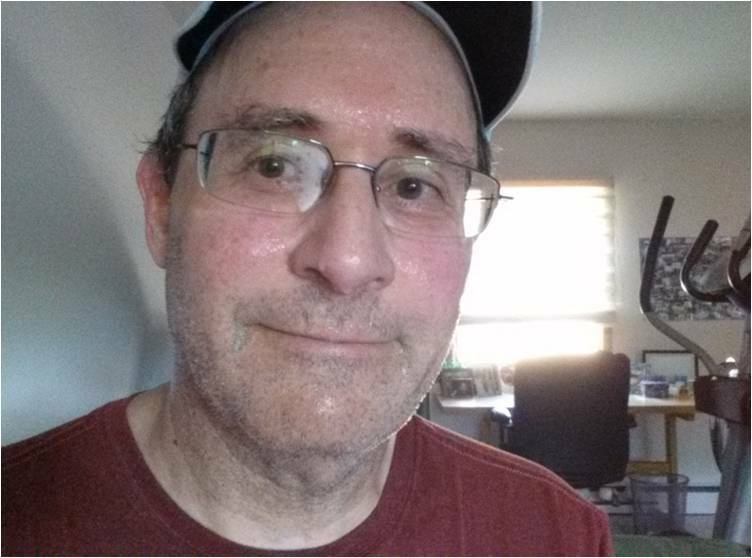 My last few treadmill runs had been tolerable so I didn't think much of it, but a few minutes in I just wanted to stop. I was totally disinterested in the experience and considered shutting down and calling it a workout. I managed to bargain my way through the first mile where I promised myself I'd stop and reconsider the next couple of miles. I ended up doing my entire run but the entire time I was asking myself why. Saturday was better, both in terms of attitude and weather. But not by much, and I managed to putter joylessly through my local route. This morning I had the same negative view of running. I looked at past issues of Runner's World and Trail Runner for inspiration but could not convince myself to get in the car and drive to Stillwell or Bethpage for a long overdue trail run. I ended up going around the neighborhood once again. It was perfectly nice but the entire time I thought about the type of runner I have become. What happened to the person who wouldn't think twice about running the Bethpage trail to the Preserve and back on a Sunday morning? Or run the Dirty Sock course around Belmont Lake? Those workouts aren't even on my radar these days. While I am having trouble with my run-magination, I haven't stopped running. I did consider cutting it short on Friday, but don't think there's a chance I would have done that. Let's see how things go this week. I have a vacation coming up soon and I plan to try some more interesting runs and cover longer distances. Maybe that will get me back on track. You make an excellent point. Let's try the irritation method when you return from your upcoming misadventure.